Welcome to the website for the Twelfth International Conference on the Principles of Knowledge Representation and Reasoning to be held in Toronto, Canada, May 9-13, 2010. Knowledge Representation and Reasoning (KR & R) is a vibrant and exciting field of human endeavor, and a key driver of innovation in computer science. It has also lead to significant advances in practical applications from artificial intelligence to software engineering. The KR & R conference series is a leading forum for timely, in-depth presentation of progress in the theory and principles underlying the representation and computational management of knowledge. Please check out all details in the Call For Papers. KR2010 will take place at the Sutton Place Hotel in Toronto, Ontario, Canada. April 9, 2010: a revised KR-2010 Conference Program has been posted. March 31, 2010: a KR-2010 Tentative Conference Program is available. It is subject to change; also, some details are missing. An updated and revised version will be posted later. You can find a Conference Schedule on pages 8 - 14. 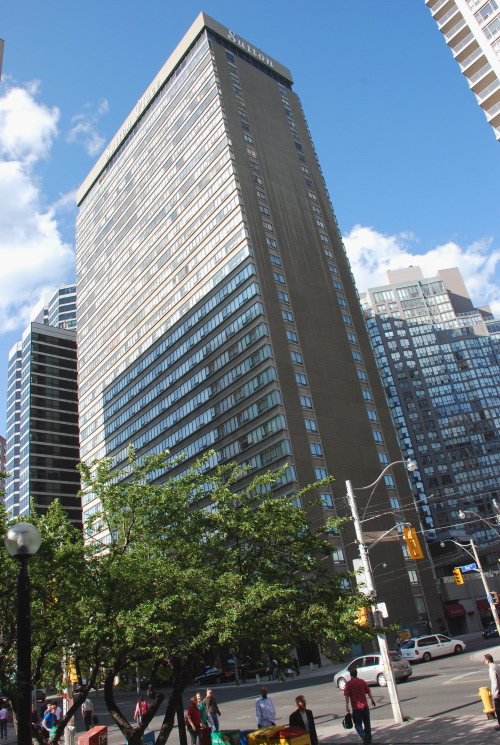 March 1, 2010: Student Accommodation is available at the Ryerson University student residence (ILLC). February 23, 2010: Please make your plans to register and attend KR-2010. Registration is organized by AAAI. Please follow the instructions provided on that Web page. A complete list of invited speakers and tutorials (including abstracts) is available. Early registration deadline: 12 March 2010. Late registration deadline: 9 April 2010. The KR-2010 banquet is tentatively scheduled on Tuesday, May 11, 2010. This date is subject to change. January 20, 2010: List of accepted (regular and short) papers has been posted. Registration will open soon. The final registration fees structure will be posted soon. January 15, 2010: Please use group code "TO100506AA" when making online reservations in the conference hotel. December 2, 2009: A tentative list of invited speakers and tutorials is available starting from today. November 27, 2009: All papers have to be submitted before 0 am HAST (Hawaii-Aleutian Standard Time) of December 1 , that is before the latest midnight of Nov. 30. If you would like to find what is the current time in Hawaii, please check this official U.S. time clock. To see the animated clock, be sure that java is enabled on your browser. If you like, you can also visit this unofficial commercial Website (maintained by a private company in Norway) that provides the current time and date.